Samsung has confirmed to TechRadar that it will be bringing a slide-out QWERTY device running Android to the UK this year. "We've got another device coming through this year, which will be a slider QWERTY device, with a landscape keyboard. "It won't mirror the Galaxy S (in terms of specs), it will be more mid-range, more along the lines of the Galaxy Apollo." McGregor didn't confirm which version of Android the phone will be running, but it's likely to be Android 2.2 given the release schedule. As an Android device, it will also use the Galaxy moniker. We've seen the likes of the Samsung Galaxy S Pro and the Samsung Galaxy Q rumoured so far, both with QWERTY keyboards, but given both of these come with high end specs we doubt it will be one of these. 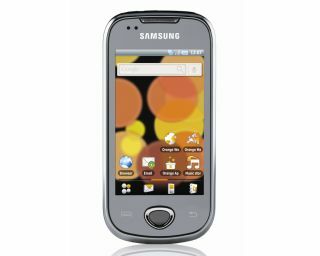 It's more likely to be the Samsung i5510 shown off by Vodafone recently - but it's good news it's coming to the UK soon. Samsung has been betting big on Android this year, with the Samsung Galaxy Tab the latest to launch - but we're glad to see the Koreans are still fully behind Android phones too.